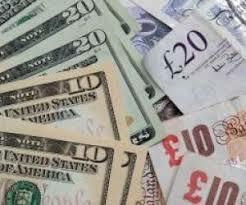 “GBP/USD continues to correct higher near term. The Elliott wavecount is pointing to a corrective rebound into the 1.3500 and then 1.3600 area, which is fairly tepid (this would not even represent a 38.2% retracement, which lies at 1.3652). We have a support line at 1.3354, which guards the 1.3204 recent low. Below 1.3200 will trigger losses to the 1.3040 October low”. “The March low lies at 1.3712 and this should offer a tough near term barrier. Rallies are expected to remain capped by the 1.3727 55 day moving average and while below here the market will remain directly offered”.